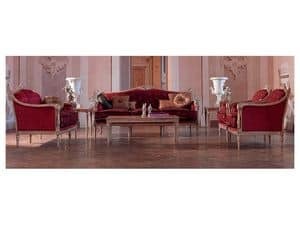 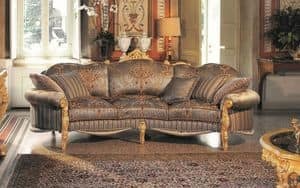 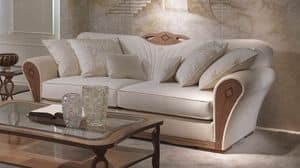 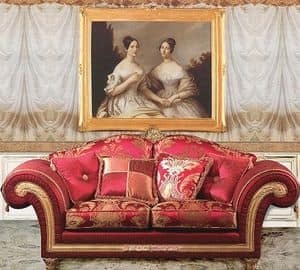 Two seater luxury classic sofa with solid wood frame. 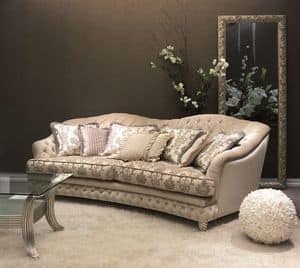 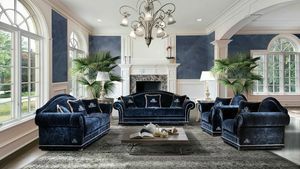 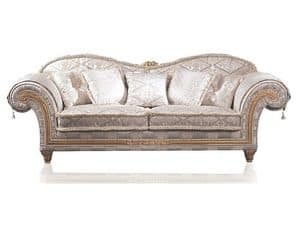 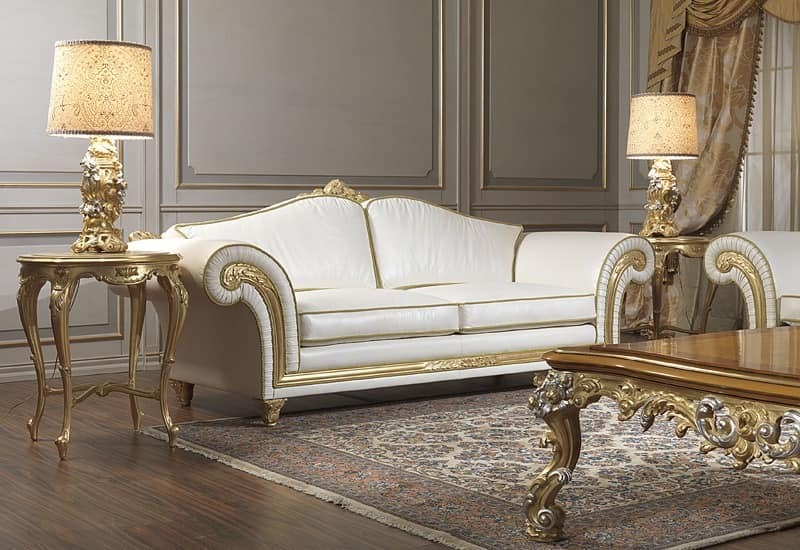 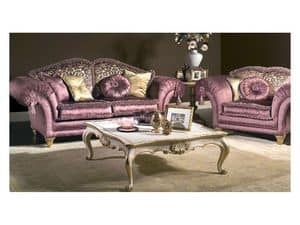 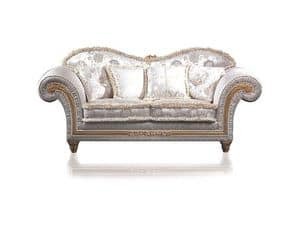 Sofa for drawing room and luxury hotel. 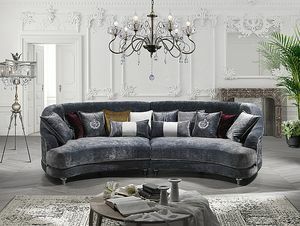 Feather cushions with inner support. 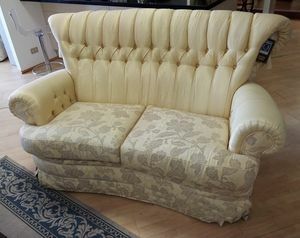 Back and seat cushons with removable covers. 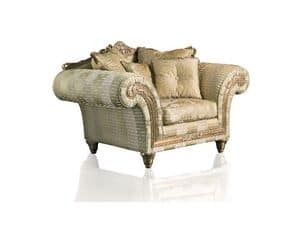 Equipped with three 45x45cm cushions. 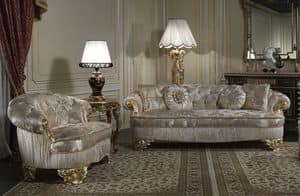 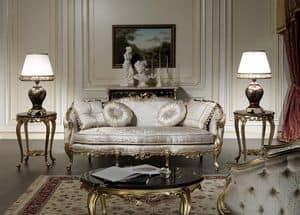 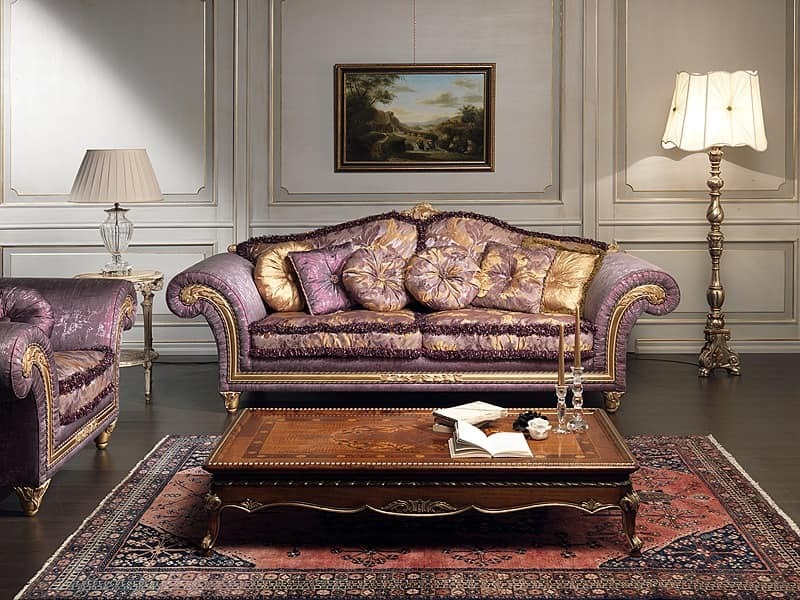 Very important is the depth of the wide sittings characterized by craftmade carved mouldings with baroqe and gold leaves. 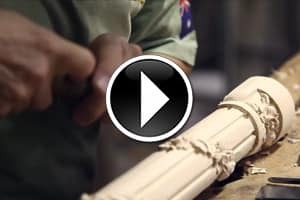 Tailoring little quilts to use as arm-covers.